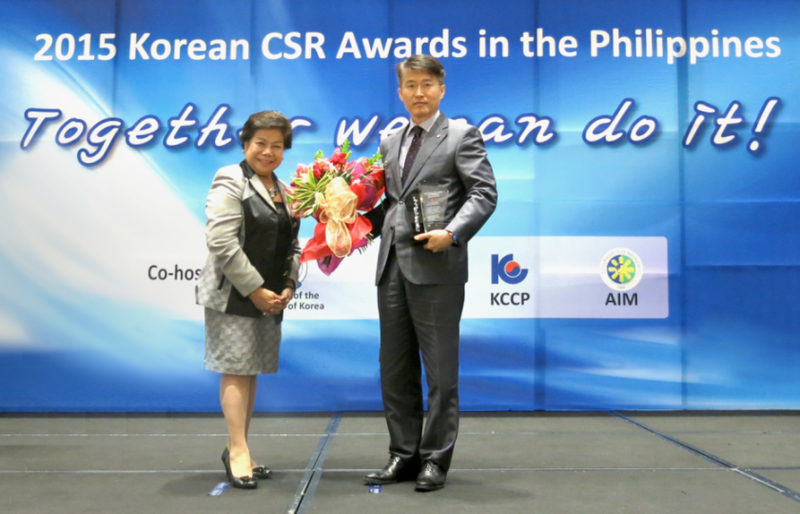 For their outstanding humanitarian effort and contribution through disaster response and preparedness, trailblazer in technological innovations LG Electronics Philippines (LGEPH) was acknowledged with the Rescue and Aid Award during the 2015 Korean CSR Awards Ceremony held September 29, 2015 in Mariott Hotel, Pasay City. LGEPH has been a dynamic volunteer in relief operations during the height of national state of emergency during calamities, especially when Typhoon Haiyan hit the Philippines in 2013. Keeping true to their mantra of making life good, LGEPH’s CSR activities through the years included installations of solar panels in different areas in Tacloban, cash donations, and an annual service camp which provide the following services: free home appliance and mobile phone servicing to all affected LG customers. LGEPH also conducts a year-round event dubbed LG Caravan where their team visit different areas in the Philippine to provide week-long, well-rounded activities from fitness and health, educational, entertainment, and livelihood set-ups. On these visits, they provide services making use of their very own products such as free labada day, free charging stations, as well as free repair services for appliances. They also provide a week-long medical mission for free checkups. The awards ceremony is a collaborative effort between the Embassy of the Republic of Korea, Philippine Economic Zone Authority (PEZA), Korean Chamber of Commerce Philippines (KCCP), and the Asian Institute of Management (AIM).